Review Context: Being a fan of professional wrestling and video games go hand in hand. My favorite wrestling game will always be WWF: No Mercy for Nintendo 64. Unfortunately, if you love the sport, the WWE 2K series is your only current option, except for Fire Pro Wrestling World, which is currently on Steam and waiting for a Playstation 4 release. 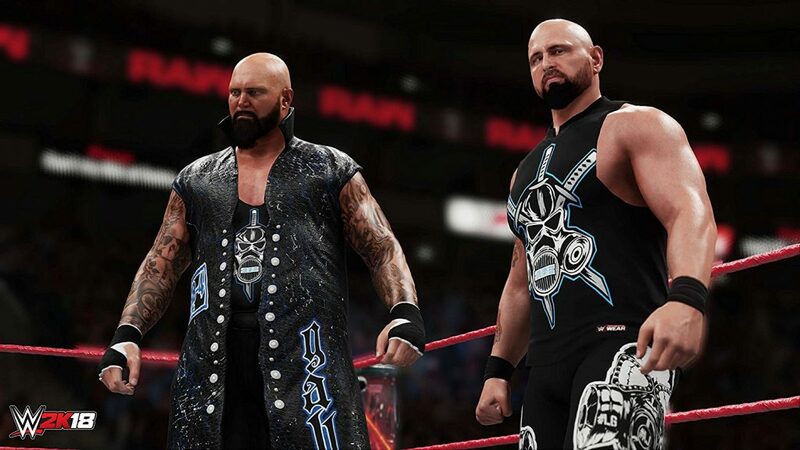 The visuals have gotten a much needed boost in quality, as all the superstars look close to their real life counterparts. The arenas look as they would be seen on TV, which is not saying much since the venues hardly change, but unlike the weekly shows the pyros are present. The crowd is lively and does multiple things, such as taking pictures and waving at the camera. 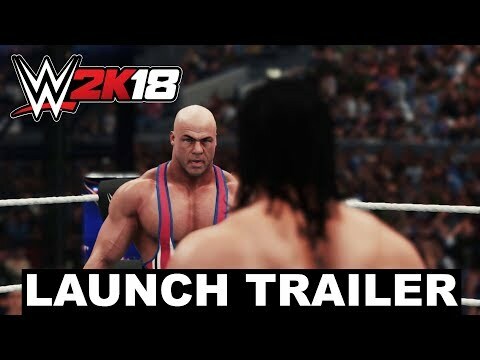 The framerate issue from the previous game has been fixed in WWE 2K18, as it runs at a steady 60 frames per second, for the most part, as the game didn’t slow down during finishers. There was an issue where the picture and audio would randomly blank out on me. Not even the most recent patch fixed it, but when Sony released an update for the console the issue went away. Gameplay stayed mostly the same, as it goes for more of an arcade feel, but still moves like a simulation. There are options to give the game an arcade feel, such as having unlimited reversals, finishers, and having the submit system be button-based instead of using the analog sticks. This still doesn’t change for people looking for a fast-paced wrestling game. The controls have been the simplest in the series, but people new to the series may get frustrated with the controls when the match gets intense. 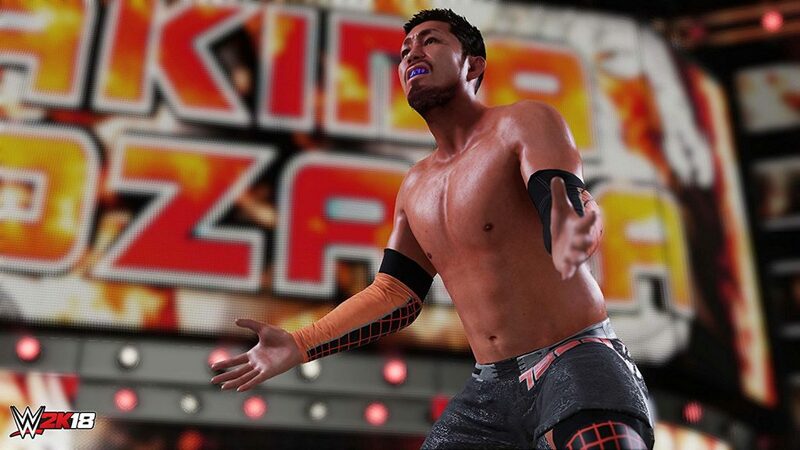 Those who are familiar with the gameplay will notice new features, such as the ability to taunt from the turnbuckle, pick up a wrestler, and toss him/her into the ropes or turnbuckle. Keeping with last year, the target system is set to manual on default so you don’t get a beatdown in a match because you’re aiming at the wrong person. If you are in an 6 or 8 person match, switching to auto target is a must, since you will spend more time targeting who you want to fight instead of the match. Like a broken record, modes have been added and removed from previous games. For the second year in a row this game has omitted 2K Showcase. This is my favorite mode in the franchise, as the mode has you re-live moments in WWE history. Seth Freakin’ Rollins is the cover person, making him the first current superstar on the cover since CM Punk from WWE ‘13. It would’ve been nice to re-live his moments from being in The Shield, to his breakout stardom. I fear that WWE 2K16 will turn out to be very last time we ever get to experience that feature. In its place is the MyCareer mode, which is no different from the previous career modes. While it is fun to gives fans a peek at what it’s like to see the life of wrestlers going through hell to make it in the WWE, it still suffers the same issues in other installments. These issues include mainly being stuck in the same feud, slowly progressing from NXT to the main roster (Raw, SmackDown Live), and how you respond to promos making small changes to your personality. The goal to main eventing WrestleMania becomes tedious to where you lose interest. There is an online career mode that fast paces the events, as you are fighting online opponents for higher ranking, but the 2K servers have become hit and miss so your enjoyment may vary. Thankfully, there’s still WWE Universe making you the ultimate match booker. You can set the matches, stables, who deserve the titles, etc. This mode is still a fan favorite, despite older games giving you the ability to create storylines by creating dialogue for the wrestlers like the real writers of WWE Creative, minus Vince McMahon rewriting your script at the last minute. I spend most of my time in Universe mode than any other mode in the game since 2K Showcase is another no show like Brock Lesnar. The biggest feature to be added is the ability to have an 8-man match. Whether its through tag team, ladder, or battle royal, you can go all out. Backstage Brawl makes a return, but I’m still disappointed the match starts backstage. I am surprised that you still can’t go backstage during the match. Aside from that, other modes are still present, such as Cage match, Hell in a Cell, Extreme Rules, Royal Rumble, and others. There was one puzzling moment I had when I wanted AJ Styles to defend the SmackDown Championship against Kevin Owens and Sami Zayn in a handicap match from this past Royal Rumble. The game wouldn’t let me do that unless I changed it to a triple threat match. You can let your creativity run wild with creating a wrestler, clothing, logos, and arenas. You can also give your wrestler some jazz by creating an entrance movie by saving your highlights from a recent match. Afterwards, you can upload your creation online through Community Creations. Once again the sound quality is good with crowd chants, cheers, and boos from the crowd… I mean the WWE Universe. The music of a WWE superstar sounds as it should in an arena to where some tunes (Bobby Roode) will have the crowd sing along with the lyrics. The commentary has gotten a change by removing JBL and Jerry Lawler, and replacing them with Corey Graves and Bryon Saxon joining Michael Cole. You would think the commentary would get a step up in presentation, right? 2K has stated that it added tons of additional dialogues, but is still an issue I have come to expect they will never fix. Once again, the commentary suffers from speeches getting cut off, randomly repeating itself…a lot, and calling the wrong type of match. For example, if you have a ladder match, the crew will keep saying “It’s a Money in the Bank match.” It feels like they phoned in the recordings, as I have a hard time telling Corey and Bryan apart ,as both of them have no passion in their dialogue. I could on and on about the horrid commentary, but I already did that with WWE 2K17. Just turn them off in the options and enjoy the match. Oh right, if you do turn off the commentary, the ring announcer, JoJo, will be quiet as well. In that case, just lower the commentary volume.